In support of Pride Month I wanted to share the wedding of Joe and Tim. These New Yorkers love New Orleans so much that they decided to have a destination wedding in the Big Easy at the beautiful Tree of Life! Spanish Oak Events did such an amazing job putting everything together. 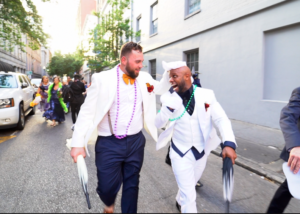 After the ceremony they took part in a traditional second line parade led by local favorite Kinfolk brass band. The parade ended at the New Orleans Board of Trade venue. I was fortunate enough to be a part such a beautiful day. The love they share for each other is so incredible that it was nearly impossible to have been at the ceremony and not cry! I look forward to editing the film that will include so much beautiful audio from several friends and family. 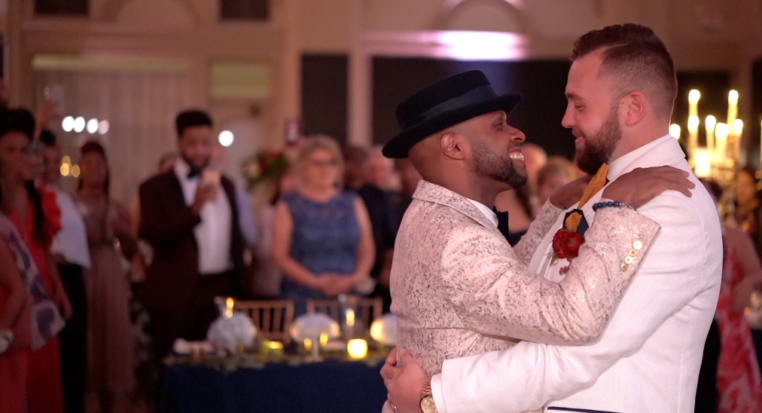 Watching these guys get married and listening to the vows they shared proves that Love Wins! Watch a sneak of the events here. 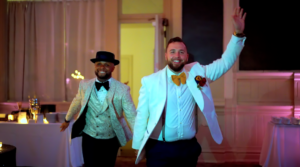 At Chris Castillo Films we specialize in capturing every candid moment and delivering a beautifully composed film that tells the story of your special day. We use the latest technology and techniques to ensure that your film is of the highest quality. We offer 4k and ariel footage as well as live streaming for those friends and family that.